What Type of Running Boards Should I Buy for My Truck? Running boards are usually positioned at the bottom of trucks or SUVs to provide a wider stepping surface. You may choose to have running boards on both or either side of your vehicle depending on your preferences and needs. Running boards are available in various materials, but most of them are made from some type of steel or molded plastic. Some also have sturdy aluminum baseboards to improve strength. Two common speciality running boards types are lighted running boards and retractable running boards. Lighted running boards provide style and functionality. On either end, they are fitted with lights to improve the visibility of the stepping surface, especially at night. Each time you open the doors, the lights are illuminated, so you’re able to see exactly where you’re putting your feet. The retracting running board is ideal for individuals who like the convenience provided by running boards but don’t necessarily like the look of them. These high-tech running boards swing out from underneath your truck or SUV whenever the doors are opened. Then, they retract when the doors are shut. In addition to being a stylish addition to your vehicle, running boards are helpful if you have small children or elderly passengers. They serve as steps to help shorter or shakier passengers get into the vehicle more easily. 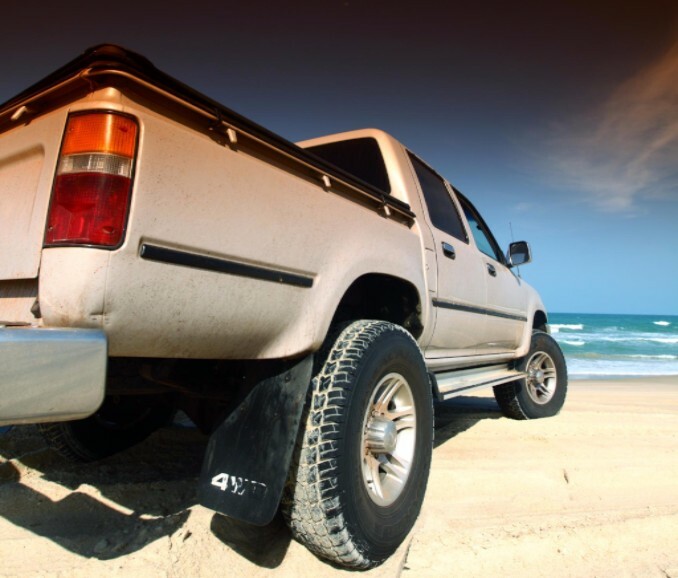 Without an additional step, getting into your truck or SUV might prove to be a difficult feat. Another advantage is that running boards protect vehicles from road debris. When cars move, the wheels kick up various forms of debris such as dirt, rocks and nails. This debris can be destructive if it comes into contact with your vehicle’s side panels, doors or windows. Running boards help block the debris and protect your vehicle from damage. Running boards also help keep the interior of your vehicle clean. They act as a sort of doormat and allow passengers to wipe dirt off their feet before getting into your truck or SUV. Running boards can make it difficult to crawl under your truck or SUV if you want to look at or fix something. If you’re a DIYer and change your oil or perform other car maintenance regularly, running boards may make these projects a little more challenging. Another downside is the weight limit for running boards can be pretty low, depending on the material you choose. This is especially true for molded plastic that doesn’t have any kind of baseboard underneath. Since they act as ladders, it’s also important to keep running boards dry and clean to avoid slipping, which can lead to serious injuries. Keep an eye out for wear and tear on the gripping surface and add extra traction (i.e. deck tape) if needed. Depending on whether you’re considering running boards for aesthetic reasons or functionality (or a little bit of both), you can determine whether or not running boards are a good addition to your truck or SUV. If you decide to add running boards, what kind should you get? The answer depends on what you want them to do. Molded plastic running boards are the most affordable option, but also the least durable and should not be depended on for any substantial support. In short: they’re made to look pretty. Molded plastic running boards made with an aluminum baseboard provide needed support and durability for those who are looking for an extra boost. If you go for steel, this type of running board is made to last. They are very durable and can withstand a lot of weight and abuse, but steel running boards are a bigger investment. At Bryant Motors, we’re happy to talk with you about any additions to your vehicle and help you decide what would be best for your individual needs. If you live in Warrensburg or Marshall, MO, give us a call or stop by our Sedalia dealership today.